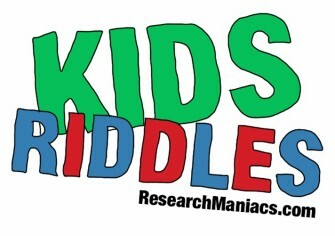 Have find with these kids Riddles. Click on the Answer below the riddle to see if you figured out the correct answer. Because it was feeling crumby! Why did the cow go to Hollywood? To be a MOOvie star! Why did the farmer get arrested? He got caught beating an egg! Why did the football player go to the bank? Why did the girl raise her right hand? To get the right answer! Why did the judge send the turtle to jail? Because he was known as a hard case. Why did the school boy take a chair from the classroom? Because the teacher told him to take a seat. Why did the skunk cross the road? To get to the odor side! Why did the student bring scissors to class? He wanted to cut class! Because she had bright students. To prove that he wasn't a chicken! Why didn't Beethoven finish the Unfinished Symphony? The Unfinished Symphony was started by Schubert, not Beethoven! Why didn't the skeleton go to the school dance? Why didn't the window laugh? It was afraid of cracking up! Why do doctors wear masks while doing an operation? If they make a mistake no one will know who did it! Because it would take too long to iron them! Why do lumberjacks like computers? They get to log on. Why does an elephant use his trunk as a bookmark? So he nose where he stopped reading. Why doesn't Lady GaGa have a husband? She always has a bad romance. Why don't acrobats work in the winter? Because if they did, they'd be called bay gulls. Why don't you let a clock into the library? Because it tocks too much. Why is a circle so hot? Why is a rabbit's nose not 12 inches long? Because it's in the middle of water. Because it has four eyes and it can't even see! So the birds won't bump their heads! Why shouldn't you play basketball with pigs? Because they always 'hog' the ball! Why was the apple so sad? Why was the Egyptian Pharaoh homesick? Why was the music teacher not able to open his classroom? The keys were on the piano. Why wasn't the outlaw buried in the town cemetery? Why were 6 and 7 afraid? Why were the 2 bananas upset? You can't keep this until you have given it. Your mother's brother's only brother inlaw is asleep on your couch. Who is asleep on your couch?